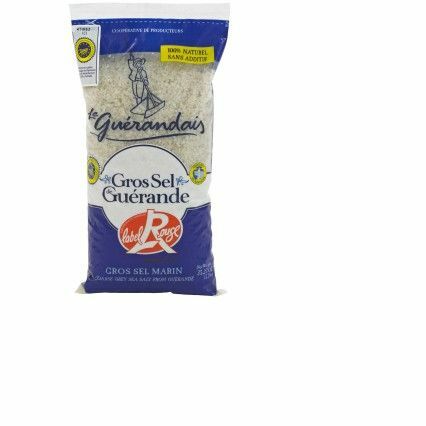 Gros Sel de Guerande is a moist and mineral rich French coarse grey sea salt. 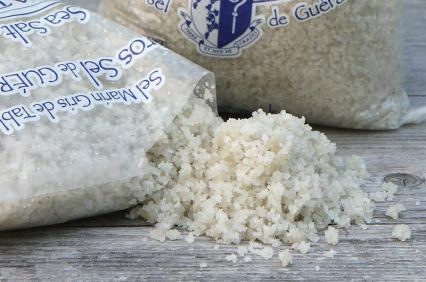 Rich in magnesium and trace elements, Le Guérandais Guérande Salt does not undergo any form of washing or chemical treatment and is air dried naturally in the salt marshes of Guerande. Storage: Store in a dry cupboard. Ideal for cooking all your dishes from pasta and vegetables to meat and fish in a salt crust. Not suitable for a salt mill as this is a moist salt.